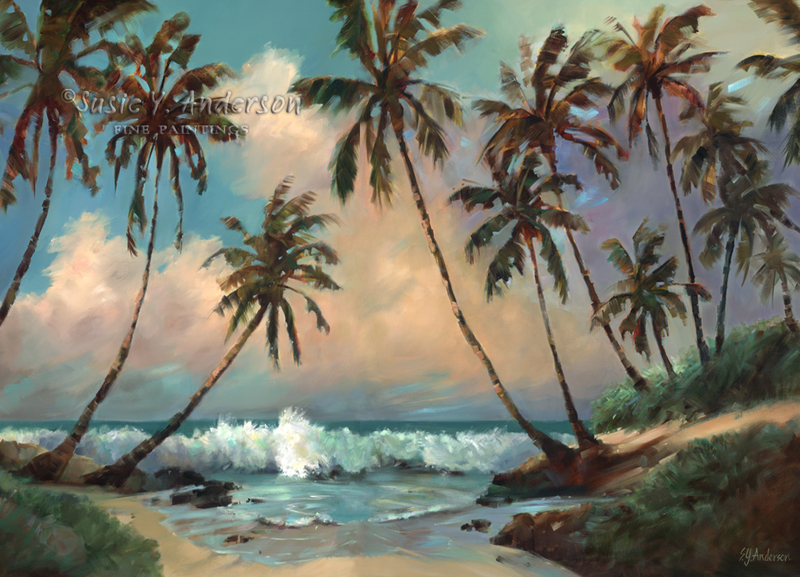 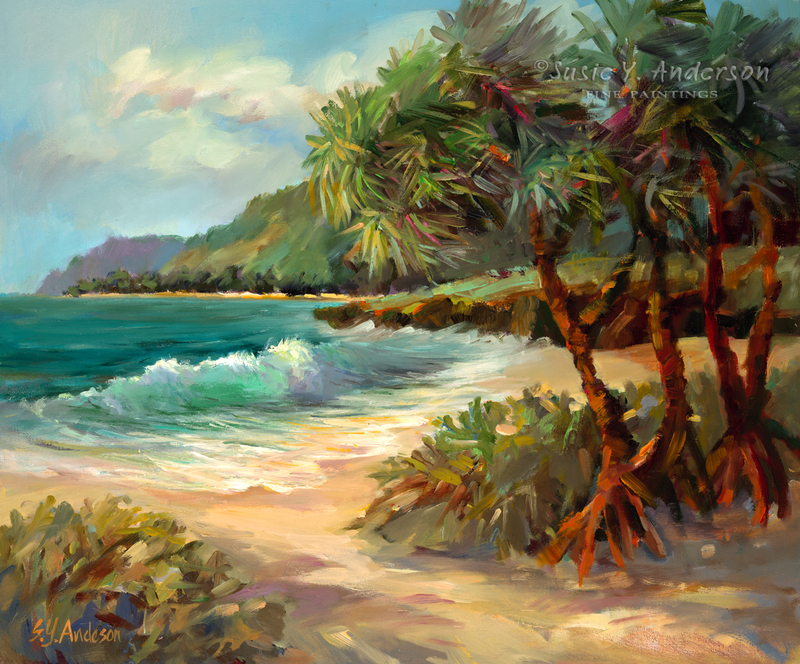 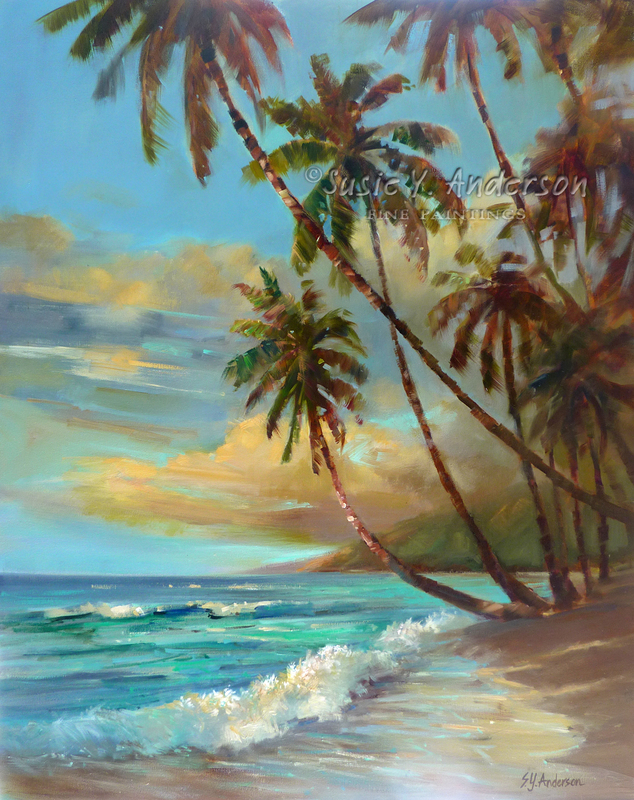 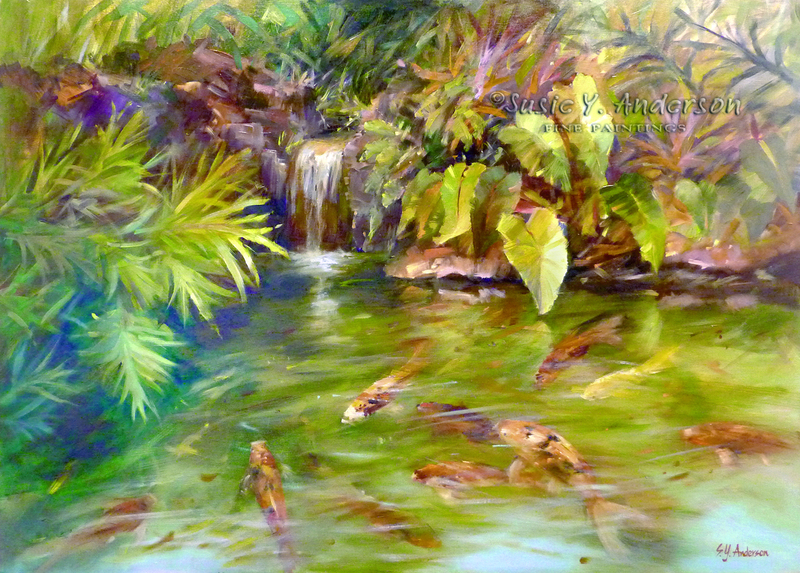 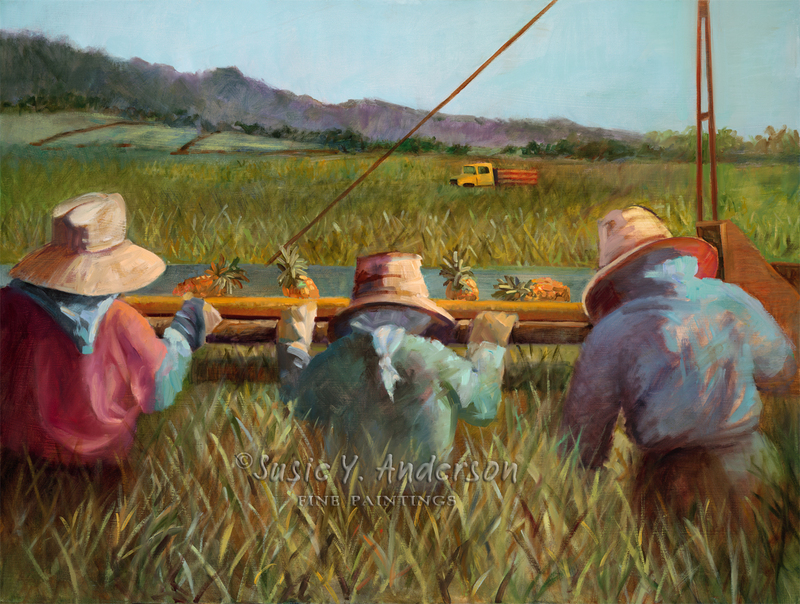 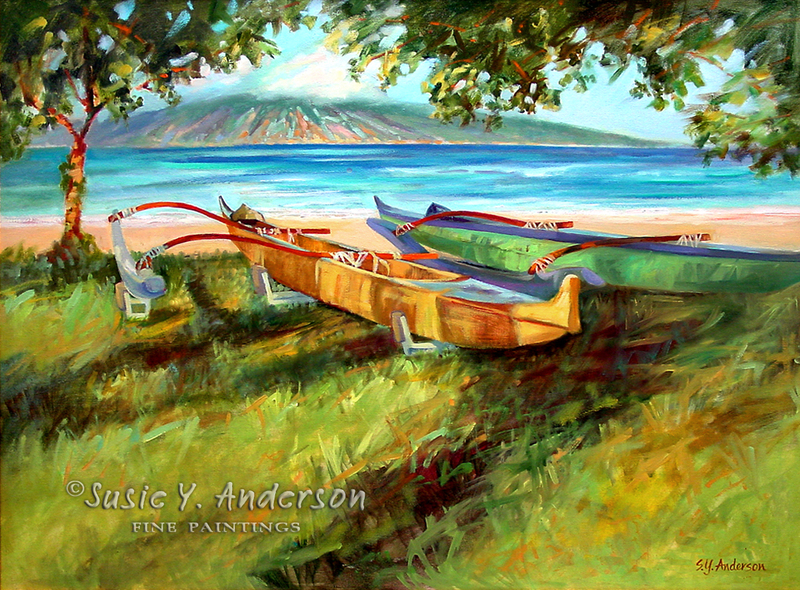 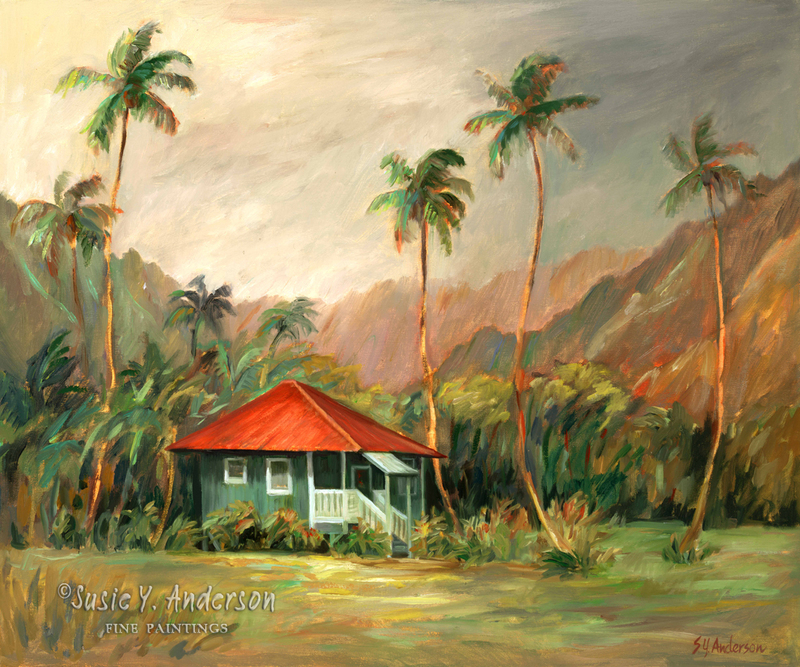 Susie Anderson is a devoted oil painter with her own distinctive impressionistic style. 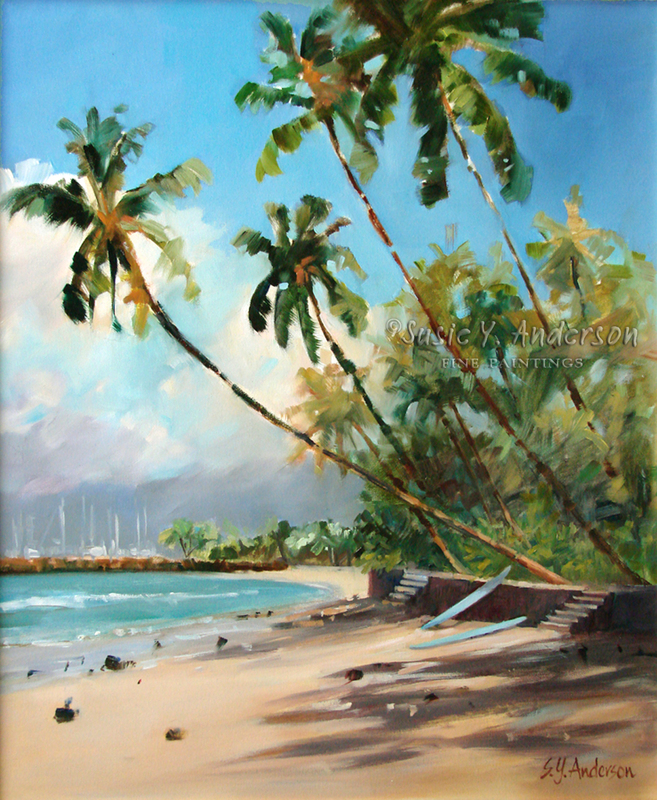 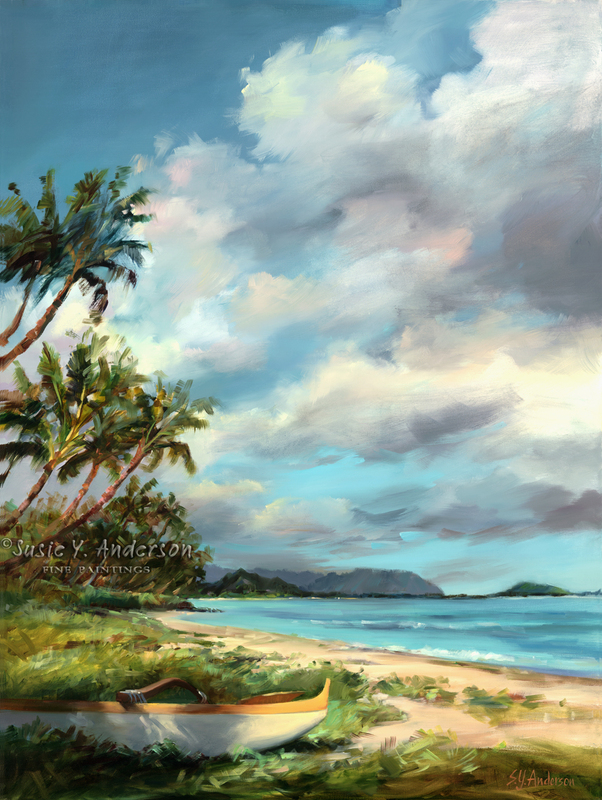 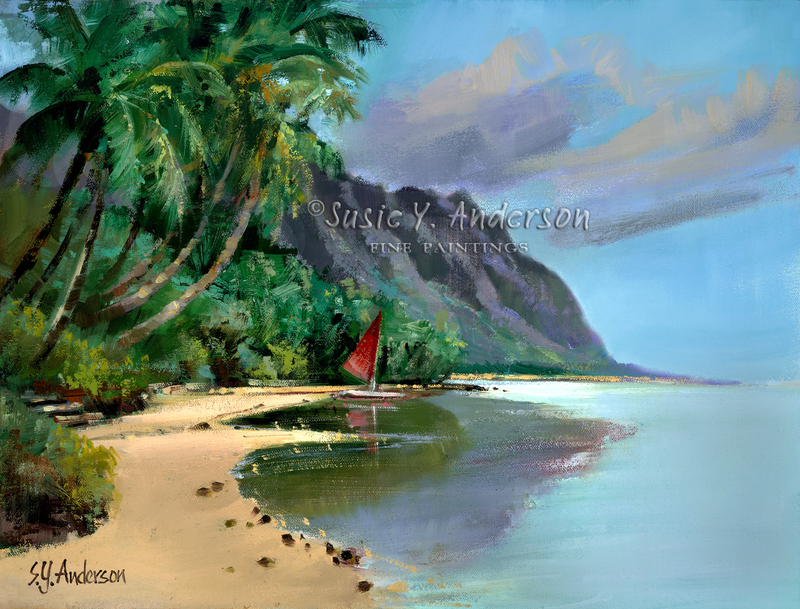 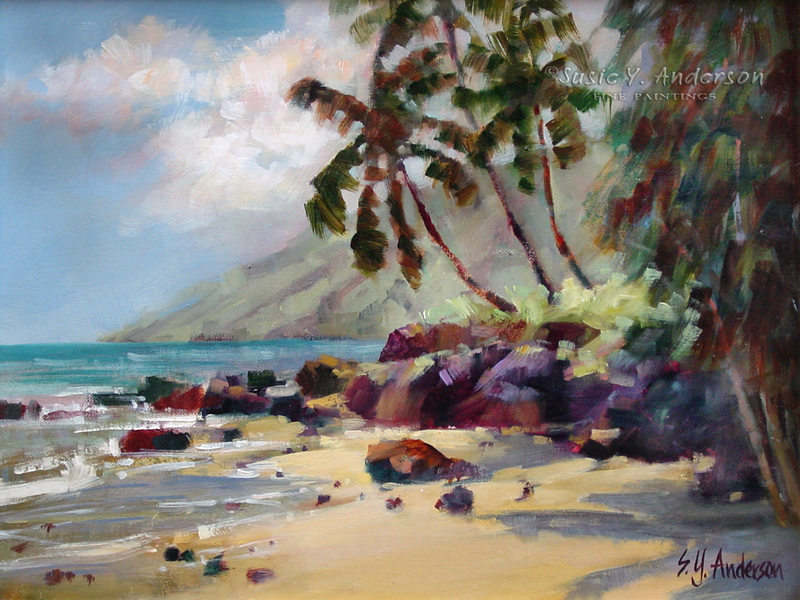 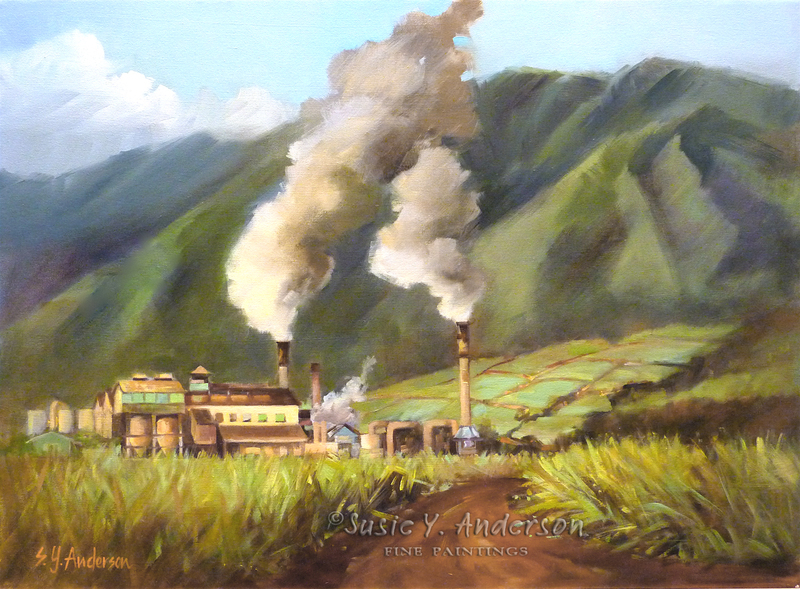 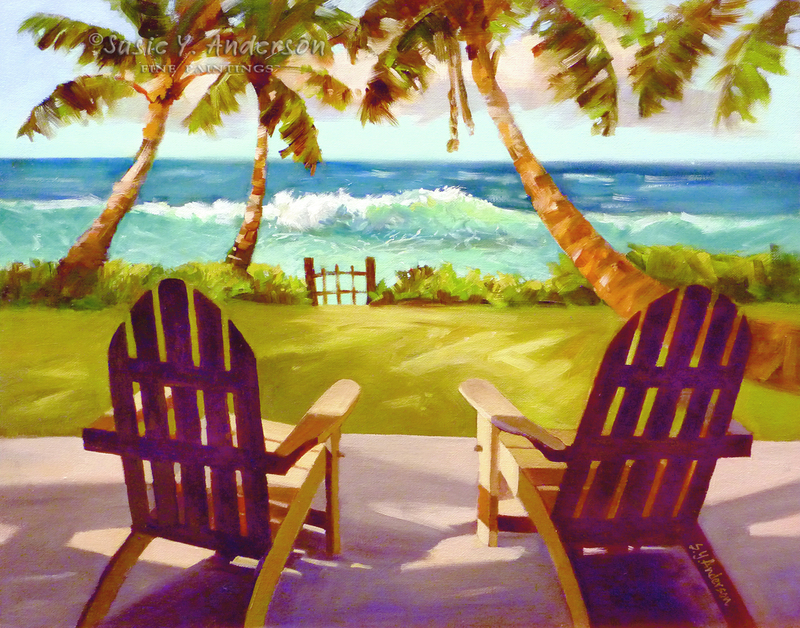 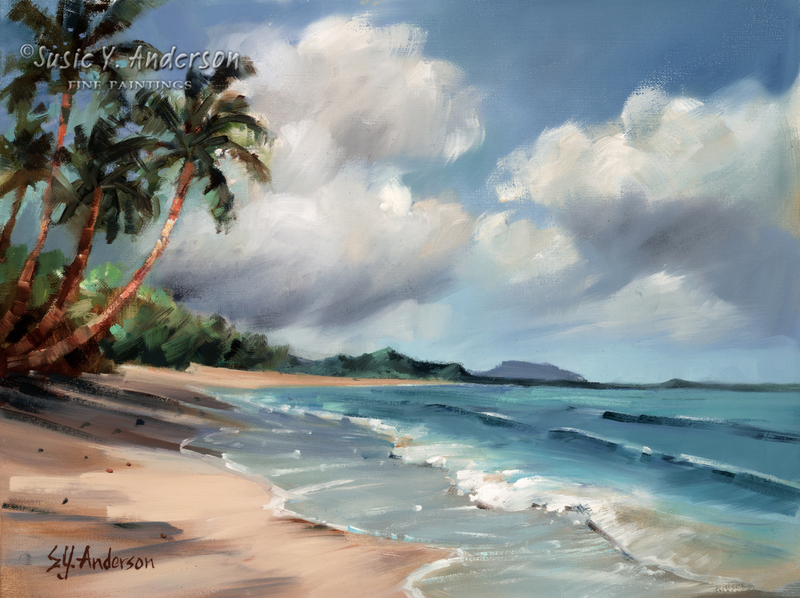 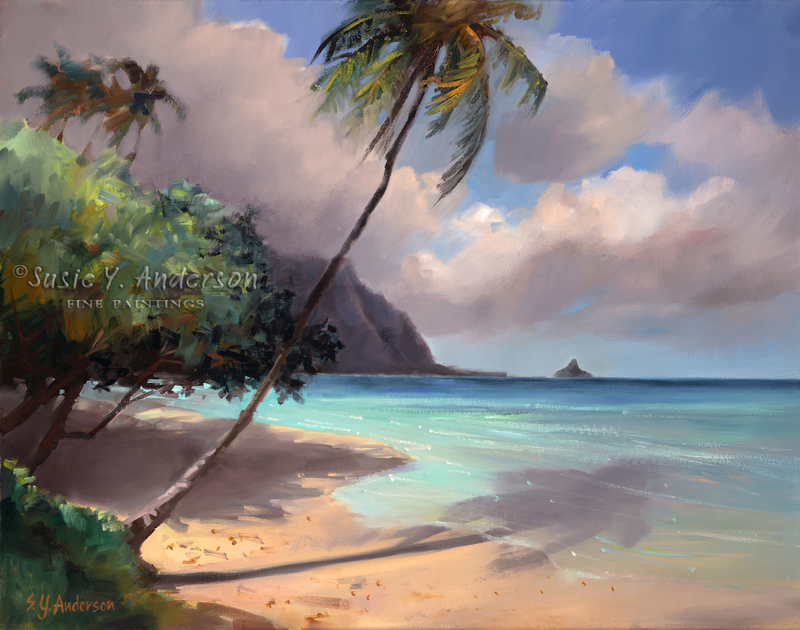 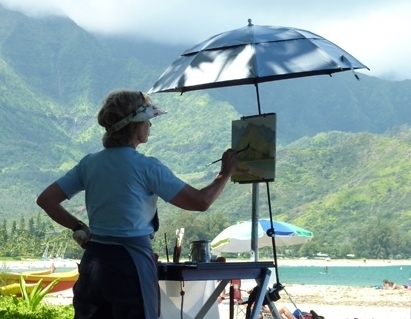 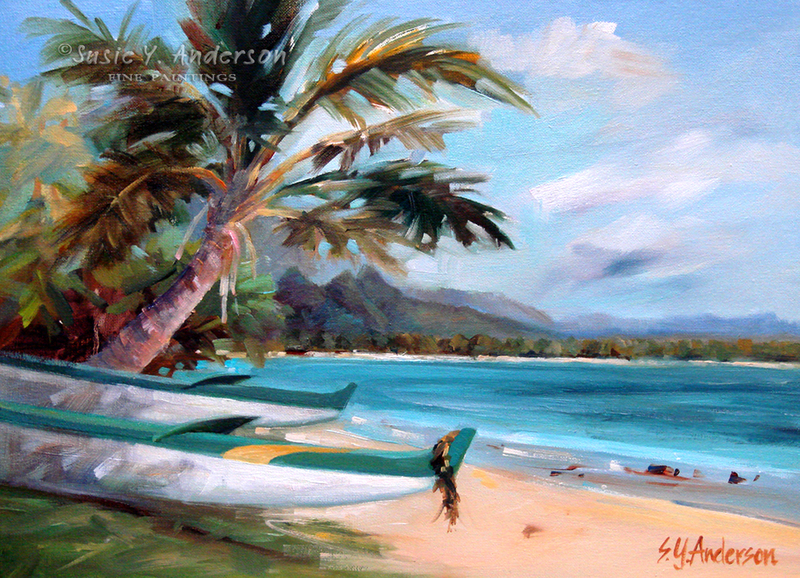 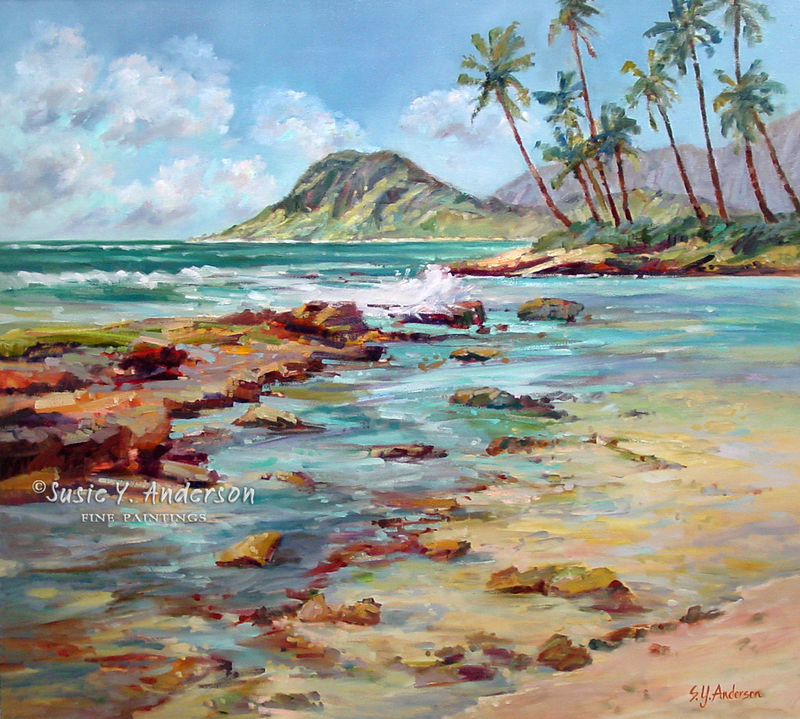 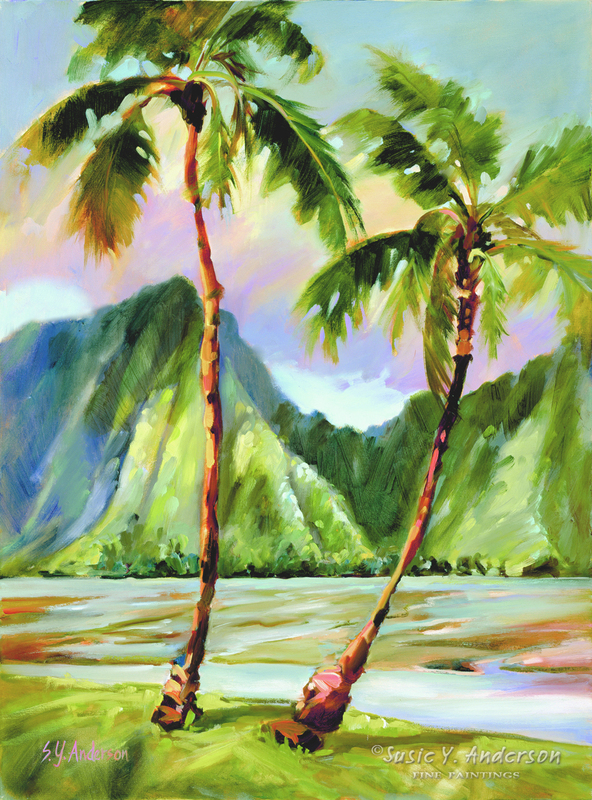 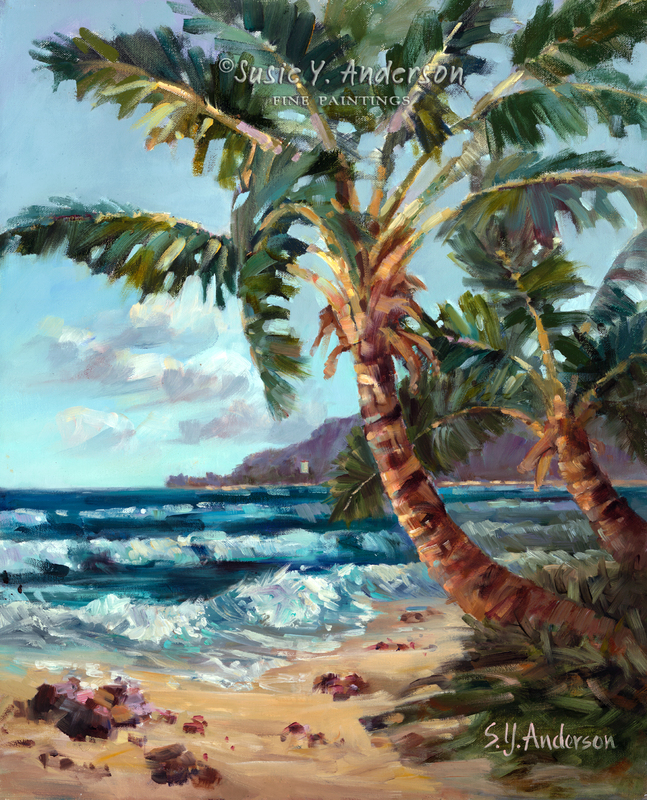 She is passionate about painting outdoors “en plein air” and is a member of the prestigious Oil Painters of America and one of only four artists selected from Hawaii. 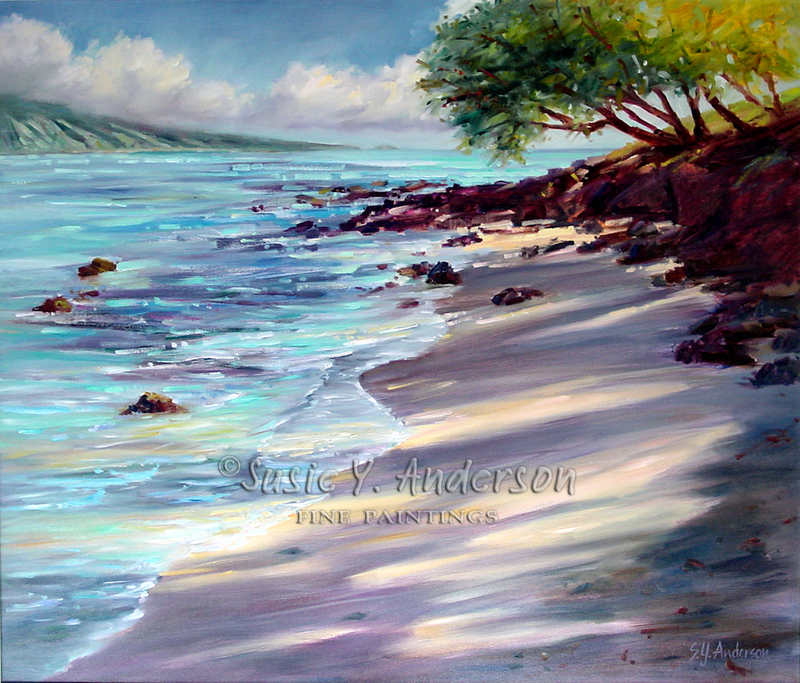 Island landscapes and seascapes, with their abundant color, changing moods, and high drama, provide a never-ending source of inspiration to this dedicated artist. 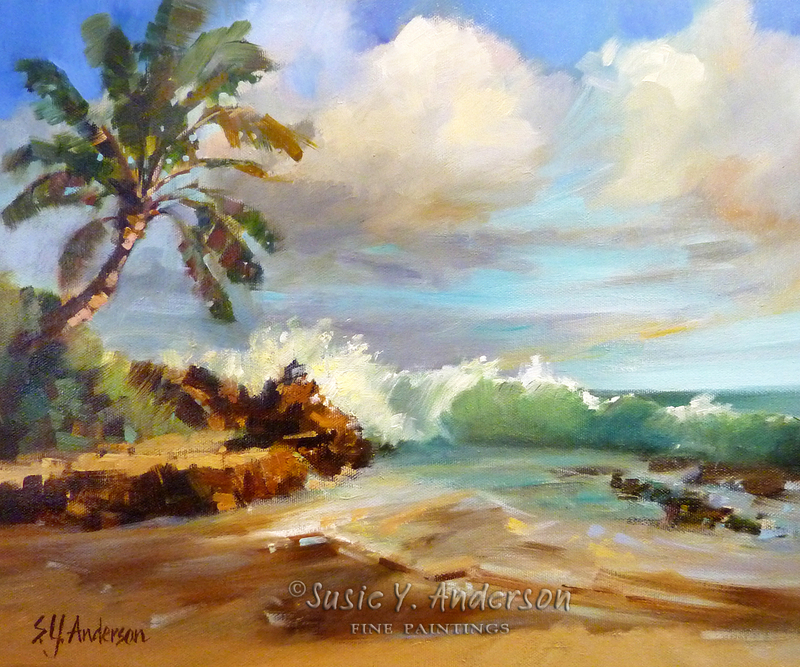 Susie also shows her range of talent in her lesser known figurative work and abstracts. 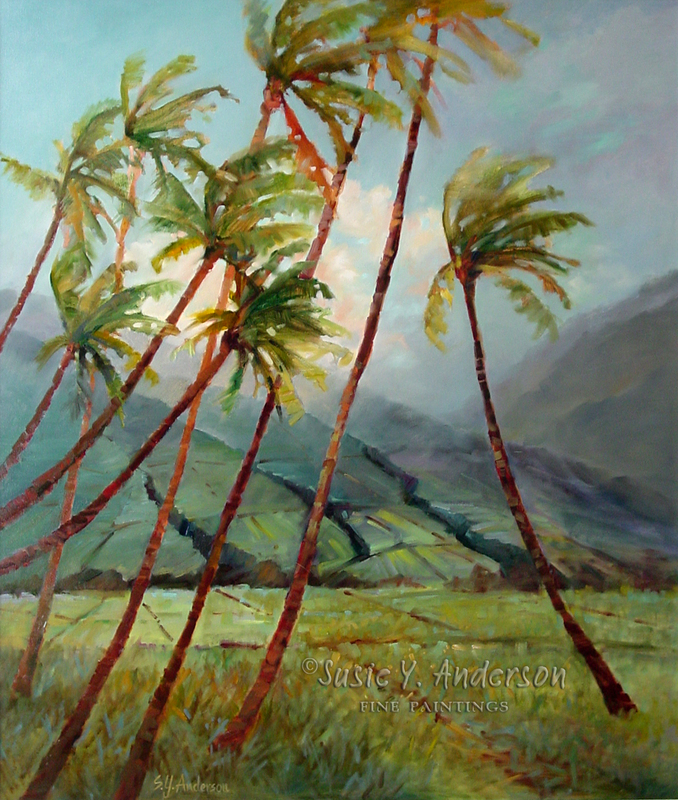 Her paintings are in numerous private and corporate collections worldwide, and she has won many honors for her work in juried shows state and nationwide.